Product prices and availability are accurate as of 2019-04-21 01:13:56 UTC and are subject to change. Any price and availability information displayed on http://www.amazon.com/ at the time of purchase will apply to the purchase of this product. 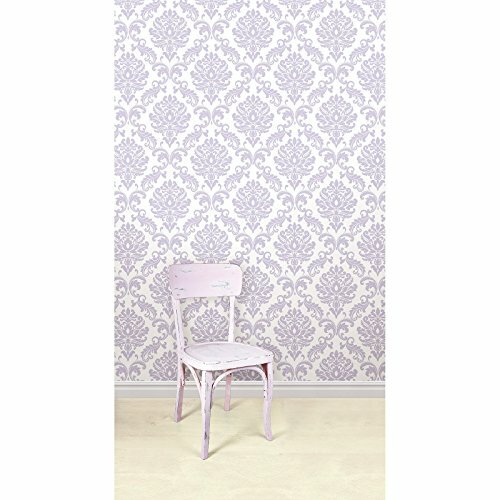 Create elegant contrast in any room with this Brewster Ariel Damask Peel and Stick Wallpaper. Bold black and white in a damask pattern gives your home a chic makeover without all the worry and work of permanent wallpaper. 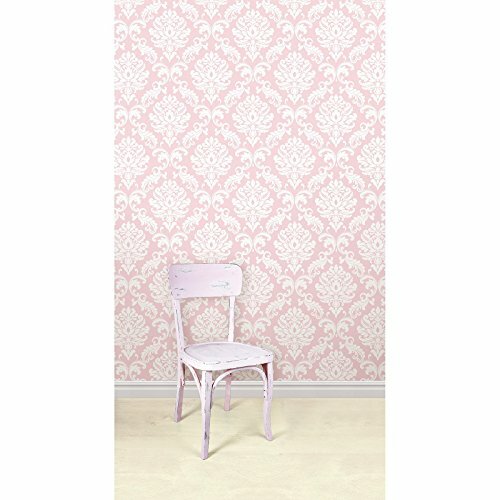 Made from vinyl for effortless cleaning, this temporary wallpaper is designed to peel and stick over primed or painted walls and is easy to remove without damaging your walls. About WallPops Modern wall decor doesn’t come easier, or more stylish, than it does from WallPops. With their designer products featuring bright colors, fun patterns, and unique accents, WallPops is quickly becoming the world’s leader in fashionable peel-and-stick wall decals. Their high quality and versatile products are always reposition-able and removable, making them safe for walls in your living room, the kitchen, the kid’s room, or a college dorm. WallPops products come with a wealth of sophisticated decor; from contemporary to classic and funky to functional, there’s certainly a WallPops wall art product to suit any palate. WallPops is manufactured by Brewster Home Fashions, based in Randolph, Mass. Brewster is a fifth-generation, family-owned and operated company founded in 1954. Dimensions: 20.5W in. 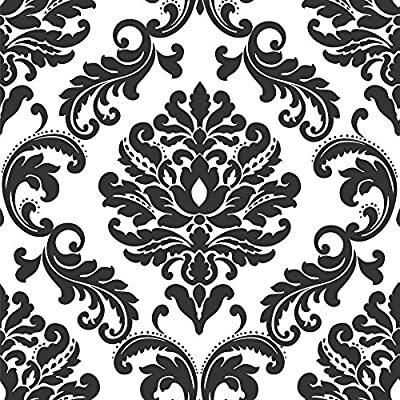 x 18H ft.. Damask print in your choice of available colors. Vinyl for easy cleaning. Peel and stick over primed or painted walls. Easy to remove and will not damage walls.